One generally needs to identify astronomical sources in their data before they can perform photometry or morphological measurements. Photutils provides two functions designed specifically to detect point-like (stellar) sources in an astronomical image. Photutils also provides a function to identify local peaks in an image that are above a specified threshold value. For general-use source detection and extraction of both point-like and extended sources, please see Image Segmentation (photutils.segmentation). 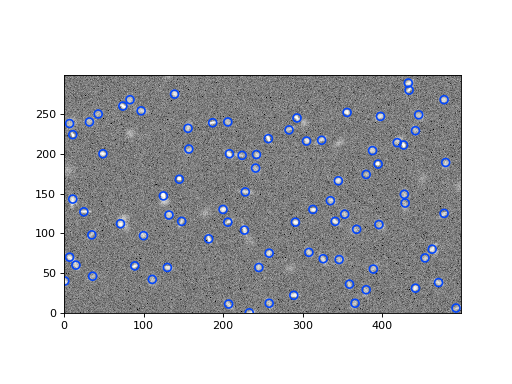 Photutils includes two widely-used tools that are used to detect stars in an image, DAOFIND and IRAF’s starfind. DAOStarFinder is a class that provides an implementation of the DAOFIND algorithm (Stetson 1987, PASP 99, 191). 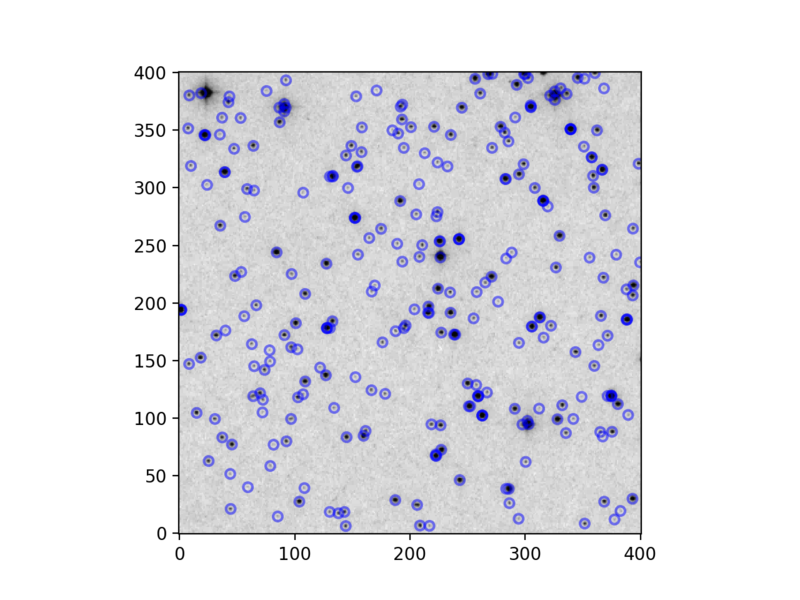 It searches images for local density maxima that have a peak amplitude greater than a specified threshold (the threshold is applied to a convolved image) and have a size and shape similar to a defined 2D Gaussian kernel. DAOStarFinder also provides an estimate of the objects’ roundness and sharpness, whose lower and upper bounds can be specified. IRAFStarFinder is a class that implements IRAF’s starfind algorithm. It is fundamentally similar to DAOStarFinder, but DAOStarFinder can use an elliptical Gaussian kernel. One other difference in IRAFStarFinder is that it calculates the objects’ centroid, roundness, and sharpness using image moments. Photutils also includes a find_peaks() function to find local peaks in an image that are above a specified threshold value. Peaks are the local maxima above a specified threshold that are separated by a specified minimum number of pixels. By default, the returned pixel coordinates are always integer-valued (i.e., no centroiding is performed, only the peak pixel is identified). However, a centroiding function can be input via the centroid_func keyword to find_peaks() to compute centroid coordinates with subpixel precision. find_peaks() supports a number of additional options, including searching for peaks only within a specified footprint. Please see the find_peaks() documentation for more options. 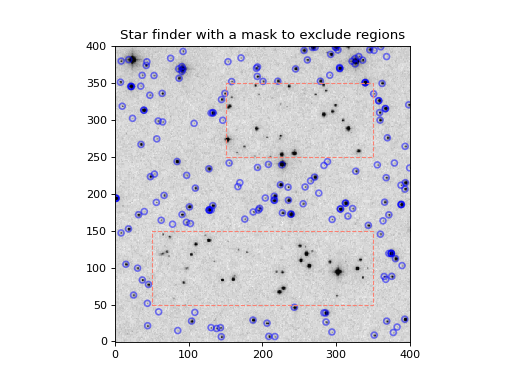 This subpackage contains modules and packages for identifying sources in an astronomical image. detect_threshold(data, snr[, background, …]) Calculate a pixel-wise threshold image that can be used to detect sources. find_peaks(data, threshold[, box_size, …]) Find local peaks in an image that are above above a specified threshold value. 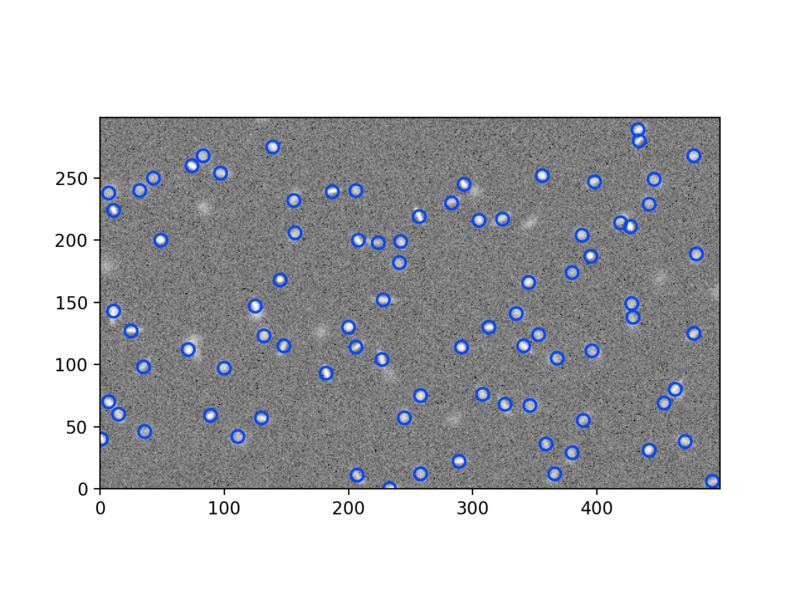 DAOStarFinder(threshold, fwhm[, ratio, …]) Detect stars in an image using the DAOFIND (Stetson 1987) algorithm. IRAFStarFinder(threshold, fwhm[, …]) Detect stars in an image using IRAF’s “starfind” algorithm. StarFinderBase Abstract base class for star finders.